Children’s Health Care of Newburyport and Haverhill provides comprehensive pediatric health care from birth through adolescence. Our full-circle approach covers preventative and urgent care and specialist referrals including on-site pediatric nutrition. As one of the largest pediatric practices in the area, we continue to grow due to our personal approach to care and our involvement in the surrounding communities. Since 1972, our team of board-certified providers has cared for families from across the North Shore, Merrimack Valley, southern New Hampshire, and the Seacoast regions. We offer two convenient locations, where our board-certified pediatricians provide a complete circle of care alongside our other children’s health experts. Child-centered and family-focused, CHC is your family’s partner in providing personalized and compassionate care for the whole child. Trust our providers to help your child achieve complete mind and body well-being as they develop into healthy adults. Call your preferred pediatric office in Newburyport or Haverhill. We are now a certified National Committee for Quality Assurance Patient-Centered Medical Home (PCMH). 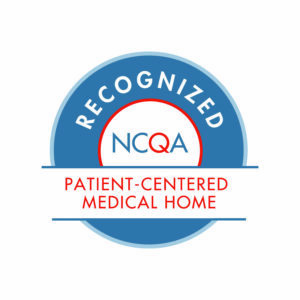 The NCQA Patient-Centered Medical Home standards emphasize the use of systematic, patient-centered coordinated care that supports access, communication, and patient involvement. Our providers deliver comprehensive, accessible medical care with an emphasis on the family/caregiver relationship. Want to know how CHC is doing via Healthcare Compass? Click here!